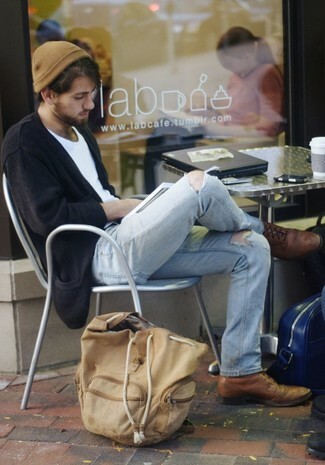 Choose a black cardigan and light blue ripped jeans if you're on the lookout for an outfit idea for when you want to look casually cool. Bring instant glamour to your ensemble with brown leather brogues. 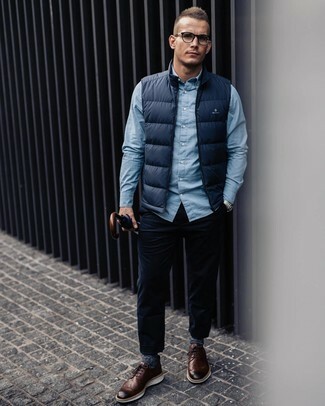 For a goofproof laid-back option, you can rely on this pairing of a navy gilet and navy corduroy jeans. 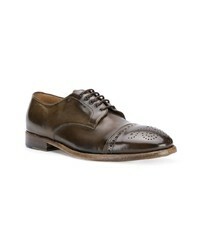 For extra fashion points, complement your outfit with Silvano Sassetti brown leather brogues. If you're hunting for a casual yet dapper outfit, pair a white crew-neck sweater with white shorts. Both garments are super comfy and will look fabulous together. 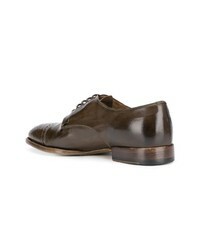 A pair of Silvano Sassetti oxford shoes from farfetch.com will bring a strong and masculine feel to any ensemble. 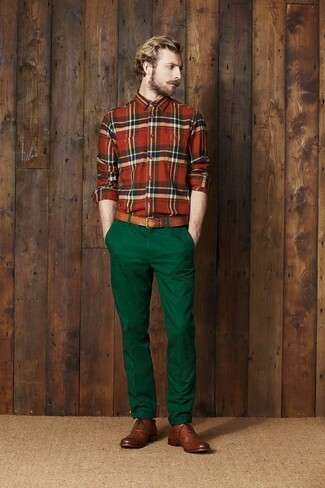 If you're hunting for a casual yet sharp getup, team a green and red plaid long sleeve shirt with dark green chinos. These two items are super comfortable and look great when worn together. Amp up the cool of your outfit by rounding it off with Silvano Sassetti oxford shoes. 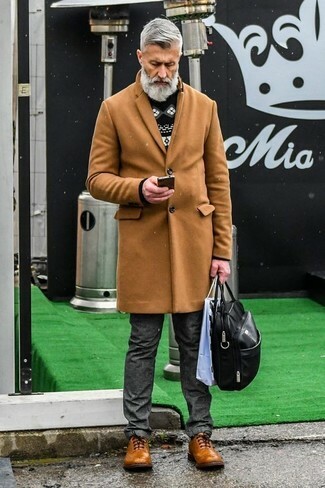 For a smart casual outfit, go for a camel overcoat and charcoal jeans — these items go perfectly well together. 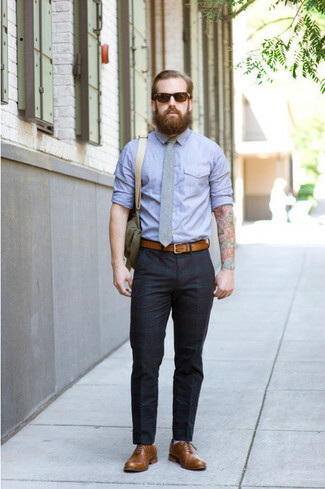 When it comes to shoes, this look is finished off wonderfully with Silvano Sassetti brown leather brogues. 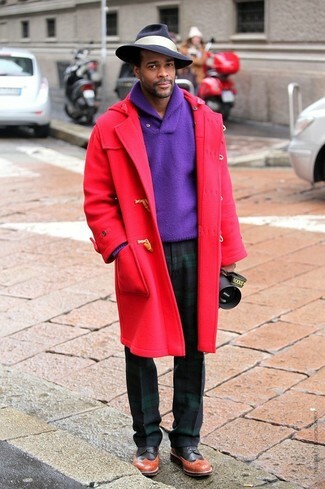 Pair a red duffle coat with dark green plaid dress pants like a true gent. Make your getup more fun by complementing it with Silvano Sassetti oxford shoes. 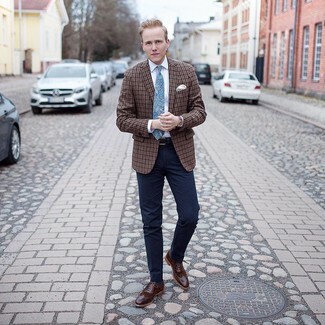 For a nothing less than incredibly stylish ensemble, consider pairing a brown plaid blazer with navy dress pants. 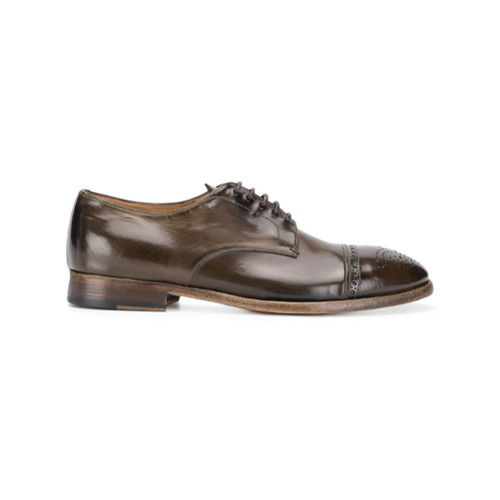 Break up your ensemble with more casual footwear, such as this pair of Silvano Sassetti oxford shoes. For a casually elegant ensemble, consider pairing a blue chambray long sleeve shirt with navy plaid dress pants — these pieces work beautifully together. To bring out the fun side of you, complete your look with Silvano Sassetti oxford shoes. Such garments as a navy blazer and navy chinos are the perfect way to inject extra classiness into your day-to-day rotation. 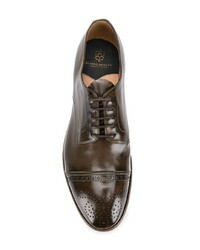 When it comes to shoes, this outfit pairs nicely with Silvano Sassetti oxford shoes from farfetch.com.